Nickname: "Give 'Em Hell Harry"
On May 8, Germany surrendered, ending World War II in Europe. On July 17, Truman attended the Potsdam Conference with leaders from Great Britain and the Soviet Union. On August 6, the U.S. dropped an atomic bomb on Hiroshima, Japan. On August 9, the U.S. dropped an atomic bomb on Nagasaki, Japan. On August 14, Japan surrendered, ending World War II in Asia. 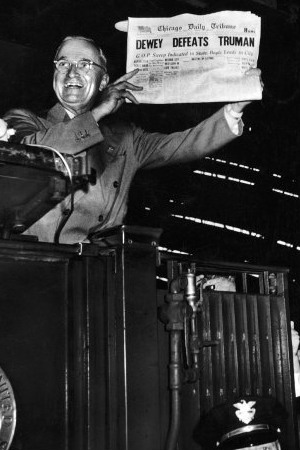 On March 12, Truman delivered his Truman Doctrine speech to Congress. On June 5, the Marshall Plan announced. On July 26, the National Security Act passed Congress creating the Department of Defense, the National Security Council, and the Central Intelligence Agency. On May 14, the U.S. recognized the state of Israel. On June 24, the Soviet Union began the Berlin Blockade. On July 26, Truman signed Executive Order 9981 which desegregated the Armed Forces. 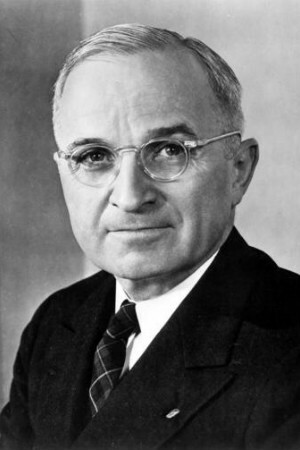 On January 5, Truman announced the Fair Deal program in this State of the Union Address. On April 4, the North Atlantic Treaty signed. On May 12, the Soviet Union ended the Berlin Blockade. On December 13, renovation began on the White House. The Trumans moved to Blair House across the street. 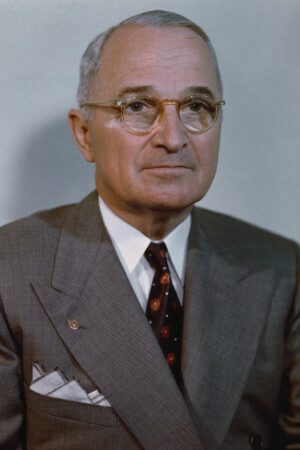 On January 31, Truman announced that the U.S. will develop a hydrogen bomb. On June 25, North Korea invaded South Korea starting the Korean War. Truman sent troops to the region five days later. On November 1, two Puerto Rican pro-independence activists attempted to assassinate Truman at Blair House. White House Police officer Leslie Coffelt died in the gunfight - the only Secret Service member to die protecting the president. On April 11, Truman dismissed General Douglas MacArthur of his command of both U.S. and U.N. forces in Korea. On November 1, the U.S. detonated the first hydrogen bomb. Facts about Truman and his presidency. A complete biography with a list of books for further reading. 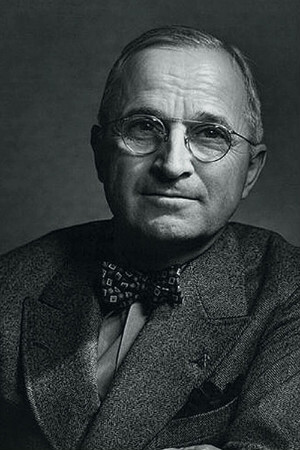 From a PBS broadcast by the same name, this essay excerpt by David McCullough discusses some of the issues and events that molded Truman. The small house where Truman was born. The house where Truman lived from 1919 to his death is located in Independence, Missouri. The Truman Farm House, where Harry grew up, is located in Grandview, Missouri. Both are located in the Kansas City metropolitan area and both are part of the Truman NHS. Maintained by the National Park Service. Located in Independence, Missouri, this site contains an exhibit hall, press room, educational resources, and of course the papers of the former president. 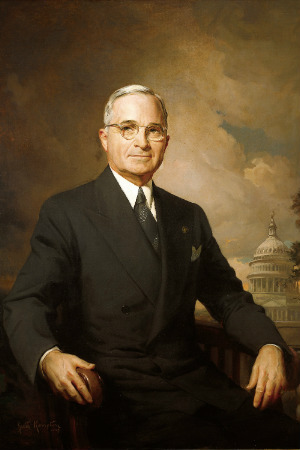 Truman was the first president assigned a Secret Service code name - General. Truman was the first president to have a television set installed in the White House. Truman's 1949 inauguration was the first televised. 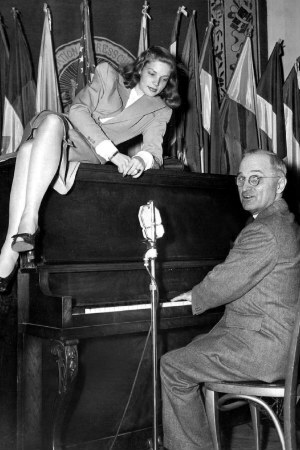 Truman was the first president to address the nation on television. In 1965, Truman was the first person issued a Medicare card. There has been considerable controversy regarding the use of a period after the S in Truman's name since it does not stand for anything. The Harry S. Truman Library website explains the controversy and the reason to use the period. 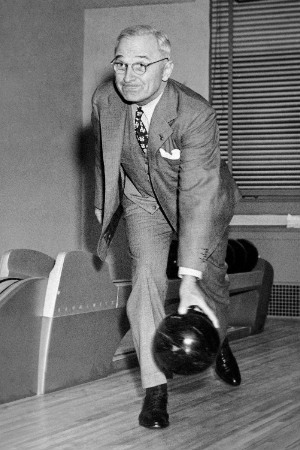 Truman's motto was "The buck stops here."